The Smart Cover line uses magnets to cling to the front of an iPad. It can be folded into a triangle shape behind the tablet to serve as a stand. There are versions for both sizes of iPad unveiled this morning, and these come in Charcoal Grey, Pink Sand, White and Papaya. The version for the 10.5-inch iPad Air is $49, while the one for the 7.9-inch iPad mini is $39. Apple also introduced a leather version for the third-generation iPad Air. This costs $69, and comes in Midnight Blue, Saddle Brown, Black, and (Product)Red. The new iPad Air is replacing Apple’s first 10.5-inch tablet. There was a Smart Keyboard Folio created for that model, and it’s compatible with the new model as well. This is $159. These can all be ordered from the online Apple Store. 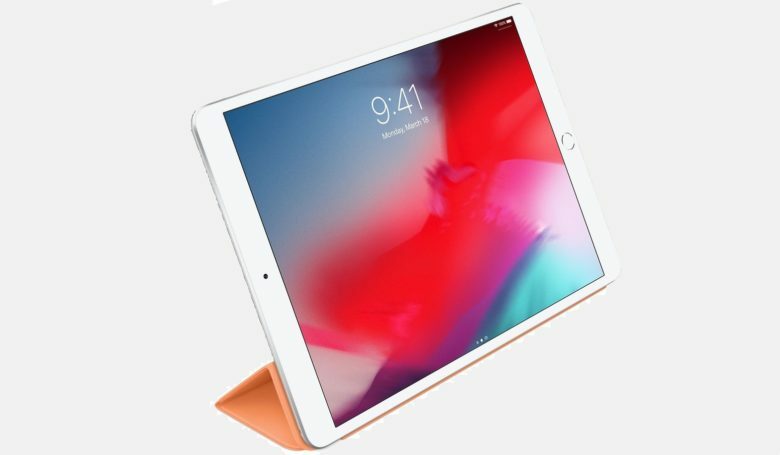 It’s not yet clear how many third-party cases designed for the 10.5-inch iPad Pro or previous versions of the iPad mini will be compatible with Apple’s latest tablets. Probably, many accessory makers are themselves trying to answer this question right now.